Halloween started with a lot of excitement. 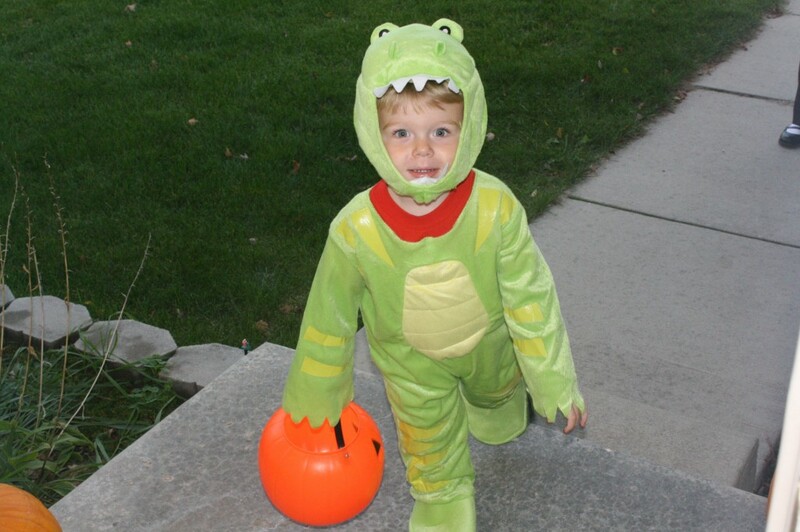 Eddie has been talking about how he was going to be a dinosaur (RAWR!) and get candy for DAYS. I don't yike it, momma. 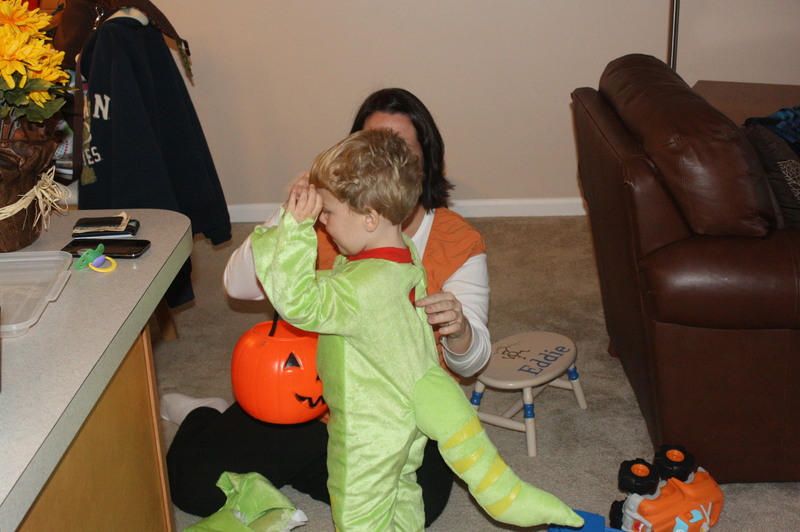 There was a bit of anti-dino-costume going on. We had to bribe him to wear it to Grandma and Grandpa’s house. The tail is cute. The face? All pouty. ok, i'll take the candy in my bucket. And as soon as the candy was in the bucket, the hat came off. 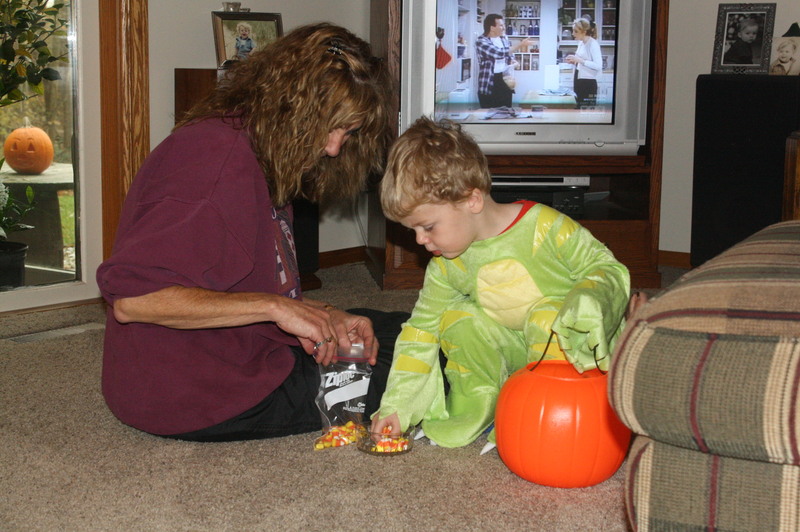 And he wasn’t even sure he wanted to go into their house until Grandma promised candy corn. and all the candy corn went into the pumpkin bucket. And soon after, the costume came off and I was sure that was the end. We went home, ate dinner, and the trick or treaters started rolling up to the door. 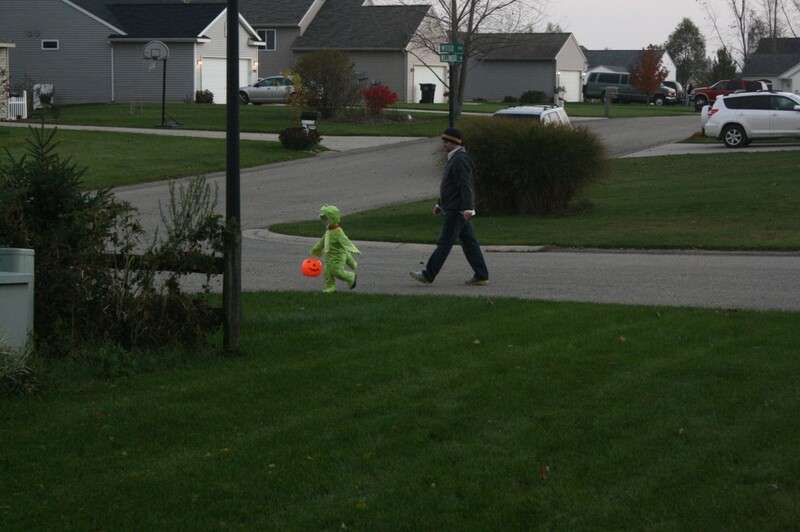 Suddenly, Eddie became aware that all those dressed up kids were getting candy from us. 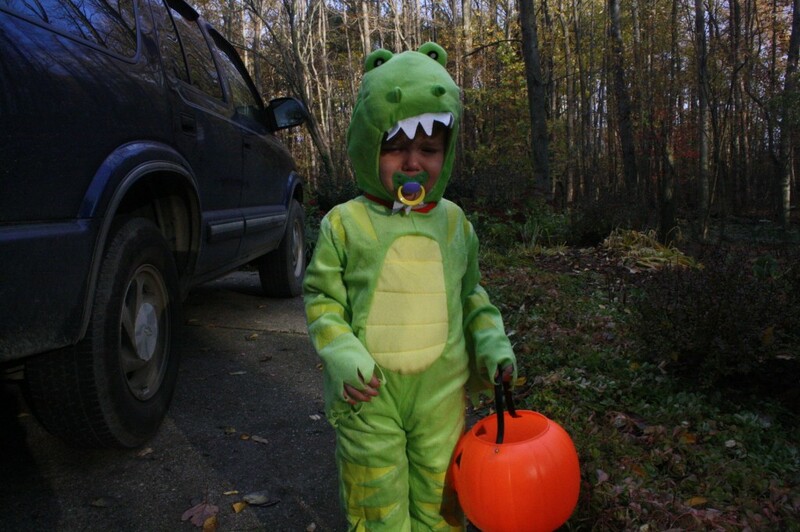 And just like that, he wanted that darn dino costume back on. And out the door he went. He wanted to catch up with all of the kids. It was so exciting to truck on down the road, that he wasn’t even that concerned with stopping at houses. He stopped at maybe two houses. And then a bigger kid in a scary mask made a scary sound. 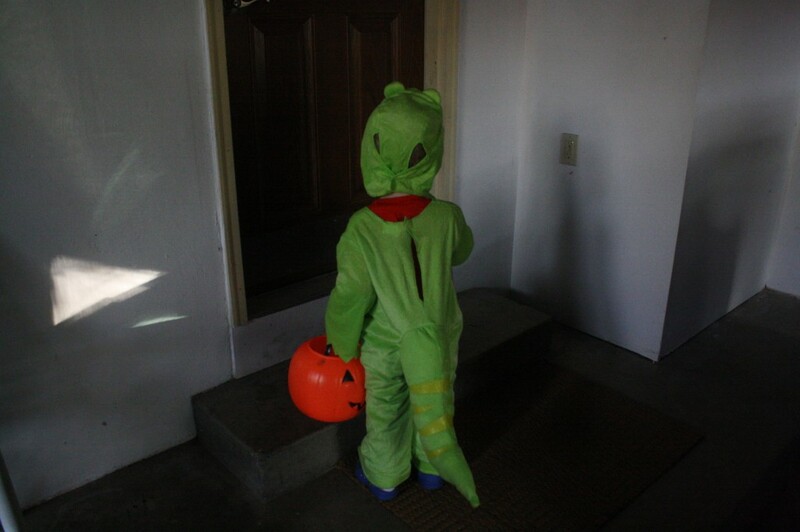 And Eddie came trucking back home, full speed to our front door, telling me about a maw-ser (monster). 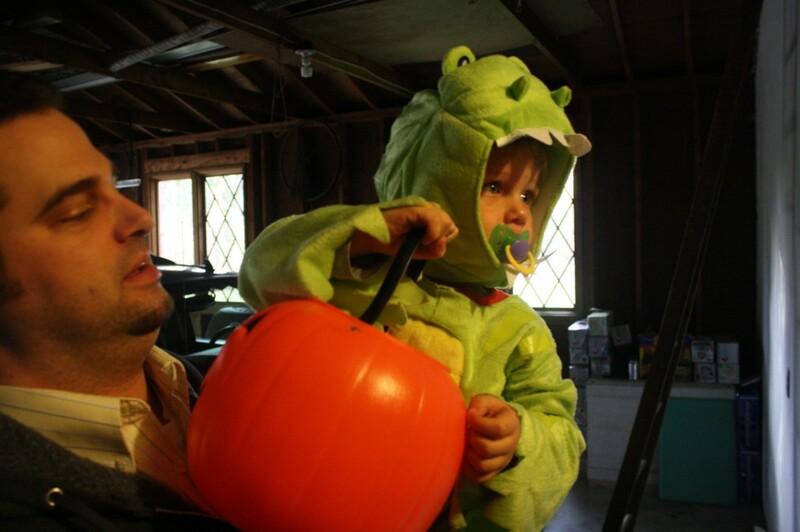 We are very proud of our little dinosaur! Now let’s just hope he doesn’t have monster nightmares tonight.